With a blend of intuitive marketing techniques and the clever use of keywords and text, Only IT have proved that it’s firmly positioned to get your website to the top of major search engines. Inadequate search engine rankings will always result in missed sales opportunities but by following a few search engine rules mixed with years of experience, this can be turned around quickly and efficiently. By avoiding the common pitfalls associated with SEO we are able to deliver maximum exposure for your website and help your customers find you and then buy from you. We have a commitment to offer our clients reliable solutions to position their brands online and get them seen by their target audience. 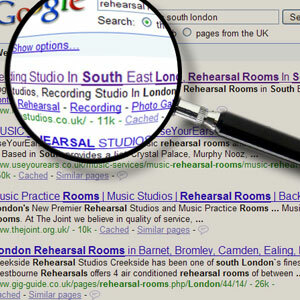 With search engine optimisation, a place on Google's first page can be yours!